Willem Lange was born in 1935. A child of deaf parents, he grew up speaking sign language and first came to New England to prep school in 1950 as an alternative to reform school in his native New York State. During a few absences from New England, Will earned a degree in only nine years at the College of Wooster in Ohio. In between those scattered semesters, he worked as a ranch hand, Adirondack guide, preacher, construction laborer, bobsled run announcer, assembly line worker, cab driver, bookkeeper, and bartender. After graduating in 1962, he taught high school English in northern New York, filling in summers as an Outward Bound instructor. 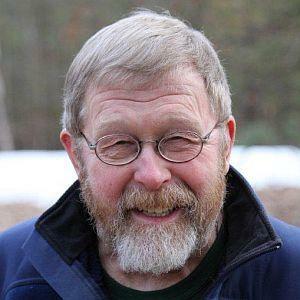 From 1968 to 1972 Will directed the Dartmouth Outward Bound Center. During the ensuing thirty-five years he was a building and remodeling contractor in Hanover. He’s an adopted member of the Dartmouth Class of 1957. In 1981 he began writing a weekly column, “A Yankee Notebook,” which appears in several New England newspapers. He’s a commentator for Vermont Public Radio and the host of New Hampshire Public Television’s weekly show Windows to the Wild. His annual readings of Charles Dickens’ A Christmas Carol began in 1975 and continue unabated. He’s published nine books and received an Emmy Award for one of his films on New Hampshire Public Television. He and his wife, Ida, have been married since 1959. They moved from New Hampshire to Vermont in 2007, and now live in East Montpelier. They have three children and four grandchildren.